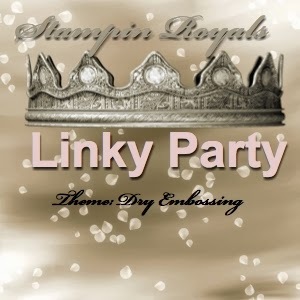 Welcome to the Stampin Royals Linky Party hosted here on Stampin Pearls! I am so glad that you decided to join me in the linky party. 6. MOST IMPORTANT: HAVE FUN! Since I post other content on my blog, I have included a separate page at the top for you to find the party. What a great linky party !!! Thank you for Linking Up at Pause Dream Enjoy. Your project is featured on our Facebook Page today and linked to your blog!